In a career that has lasted well over fifty years, Buddy Guy has played with everyone who matters and everyone who cares about the Blues. 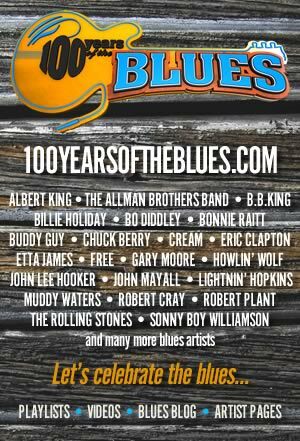 From Jeff Beck to Eric Clapton and many more, they have all happily stood in line, for the chance to play the Blues with Buddy. He is our living link to the glory days of Chicago Blues and Chess Records. “By far and without doubt, the best guitar player alive” ­- Eric Clapton George ‘Buddy’ Guy was born in 1936 on a farm and made his first guitar when he was thirteen years old. By 1953, the 17-year-old was sitting in with Lightnin’ Slim and Lazy Lester at Baton Rouge clubs. In 1957, Buddy’s mother had a stroke and so he went to Chicago looking for work. One day, while playing on the street someone took him to a club where Otis Rush was playing and Buddy sat in. Someone got Muddy Waters to the club where the 21-year-old was playing. . . Buddy was on his way. By 1958, Guy had become a regular player on the thriving club scene and he was ready to record. His first session was for the Artistic label and a second session later in the year produced two more sides. None of these charted and it wasn’t until Guy signed for the Chess label, that things began happening for him as a solo artist. At his first session, recorded on 2nd March 1960, he did four songs including; ‘Broken Hearted Blues’, ‘I Got My Eyes On You’ and ‘First Time I Met The Blues’, a classic meeting of Guy’s soulful vocals and his slashing guitar. 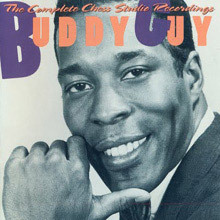 All are included on the compilation album Blues Greats – Buddy Guy. Besides his own records, he was also an ‘in demand’ session player, backing Muddy Waters, Little Walter, Sonny Boy Williamson, Koko Taylor and Willie Dixon. 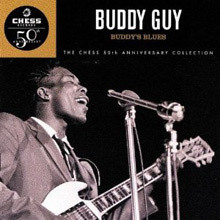 In 1962, Buddy had his only hit on the Billboard R&B charts, when Stone Crazy got to No.12 – you can also hear this track on the album, Blues Greats – Buddy Guy. As a sideman he can be heard to great effect on Muddy Waters’ Folk Singer album. 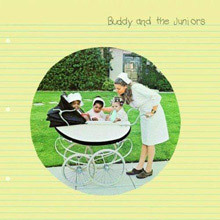 Two very different, but equally satisfying albums, are 1968’s I Left My Blues in San Francisco, which he recorded for Chess and his 1970 album for Blue Thumb, Buddy & the Juniors which has him appearing with Junior wells, the harmonica great and is one of the best albums of Buddy’s long career. He’s Chicago’s blues king today, ruling his domain just as his idol and mentor Muddy Waters did before him. Yet there was a time and not all that long ago, when Buddy Guy couldn’t even negotiate a decent record deal. Times sure have changed for the better: Guy’s first three albums for Silvertone in the ’90s all earned Grammys. Eric Clapton unabashedly calls Guy his favorite blues axeman and so do a great many adoring fans worldwide. High-energy guitar histrionics and boundless on-stage energy, have always been Guy trademarks, along with a tortured vocal style that’s nearly as distinctive as his incendiary rapid-fire fretwork. He’s come a long way from his beginnings on the ’50s Baton Rouge blues scene; at his first gigs with bandleader “Big Poppa” John Tilley, the young guitarist had to chug a stomach-jolting concoction of Dr. Tichenor’s antiseptic and wine to ward off an advanced case of stage fright, but by the time he joined harpist Raful Neal’s band, Guy had conquered his nervousness. Guy journeyed to Chicago in 1957, ready to take the town by storm. Initially, times were tough, until he turned up the juice as a showman (much as another of his early idols, Guitar Slim had back home). It didn’t take long after that, for the new kid in town to establish himself. He hung with the city’s blues elite: Freddy King, Muddy Waters, Otis Rush, and Magic Sam, who introduced Buddy Guy to Cobra Records boss Eli Toscano. Two searing 1958 singles for Cobra’s Artistic subsidiary were the result: ‘This Is The End’ and ‘Try To Quit You Baby’ exhibited more than a trace of B.B. King‘s influence, while “You Sure Can’t Do” was an unabashed homage to Guitar Slim. 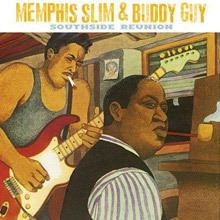 Willie Dixon produced the sides. When Cobra folded, Guy wisely followed Rush over to Chess. With the issue of his first Chess single in 1960, Guy was no longer aurally indebted to anybody. ‘First Time I Met The Blues’ and its follow-up, ‘Broken Hearted Blues’, were fiery, tortured, slow blues tracks, brilliantly showcasing Guy’s whammy-bar-enriched guitar and shrieking, hellhound-on-his-trail vocals. Although he’s often complained that Leonard Chess wouldn’t allow him to turn up his guitar loud enough, the claim doesn’t wash: Guy’s 1960-1967 Chess catalog remains his most satisfying body of work. A shuffling ‘Let Me Love You Baby’, the impassioned downbeat items ‘Ten Years Ago’, ‘Stone Crazy’, ‘My Time After Awhile’, ‘Leave My Girl Alone’ and a bouncy ‘No Lie’ rate with the hottest blues waxings of the ’60s. 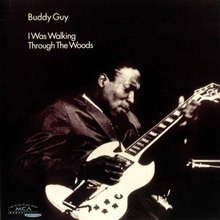 While at Chess, Guy worked long and hard as a session guitarist, getting his licks in on sides by Waters, Howlin’ Wolf, Little Walter, Sonny Boy Williamson, and Koko Taylor (on her hit “Wang Dang Doodle”). 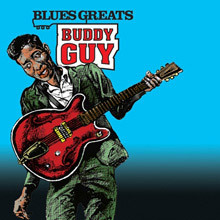 Buddy Guy – Blues Greats - Buddy Guy.